We have a range of used port wine barrels available, some of which we carry limited stock for, others are by order only. We receive our barrels from the Port houses based in Vila Nova de Gaia (around 25 kms from our cooperage), and they are all refurbished, re-charred and pressure tested before leaving. Whilst the standard sizes are 225 litre for used Ruby Port barrels and 500 litre for used Tawny Port barrels, we are able to supply in sizes of 40 and 128 litre also. 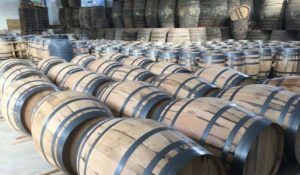 If you are looking for a supplier of used port wine barrels, you can download our price list here – please note that we also supply used sherry barrels, used Madeira wine barrels and used Portuguese brandy barrels. If there is something else that you are looking for, please get in touch.